The World Jewish Congress has found that more than 382,000 anti-Semitic posts were posted to social media platforms over the course of 2016 – an average of more than 43.6 posts per hour, or one post every 83 seconds. 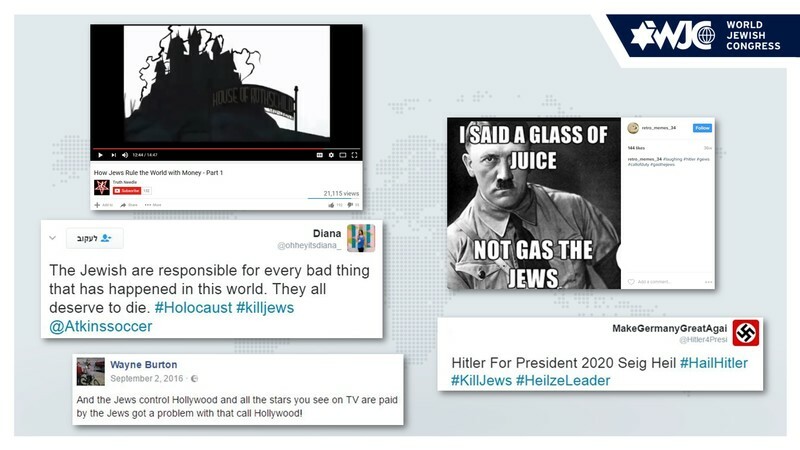 The WJC survey, conducted by the Israeli monitoring firm Vigo Social Intelligence, also determined that an overwhelming 63 percent of all anti-Semitic content online can be found on Twitter. The WJC research analyzed tens of millions of posts in 20 languages on Facebook, Twitter, YouTube, Instagram, blogs and other forums. After Twitter, the highest number of anti-Semitic posts online can be found on blogs, at 16 percent. Eleven percent of anti-Semitic content online was posted to Facebook, followed by Instagram with 6 percent, YouTube with 2 percent, and 2 percent on other forums. 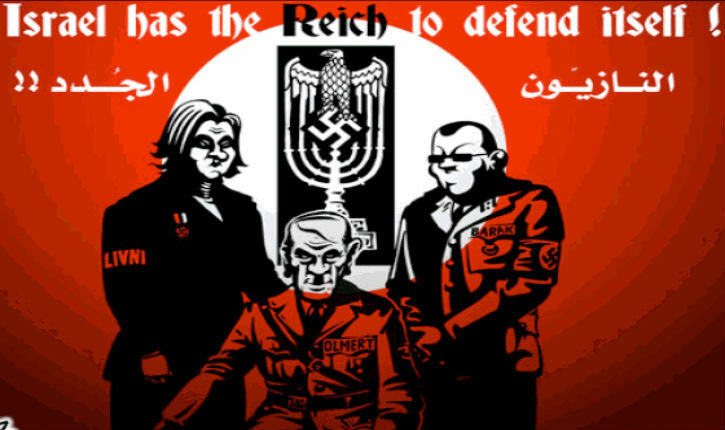 The criteria used to determine whether a post was anti-Semitic was based on International Holocaust Remembrance Alliance (IHRA)’s May 2016 definition that “anti-Semitism is a certain perception of Jews, which may be expressed as hatred toward Jews. Rhetorical and physical manifestations of anti-Semitism are directed toward Jewish or non-Jewish individuals and/or their property, toward Jewish community institutions and religious facilities.” The IHRA’s full definition of anti-Semitism can be found here. The corresponding posts were identified through a database of searchable word phrases and terms online, then translated into leading languages and scanned through the internet. A representative sample was read and codified by analysts to refine searches and deepen qualitative analysis. A total of 7,600 posts were read in different languages, indicating a representative sample of 2 percent of the total discourse included in the analysis. Posts criticizing Israel or Israel’s activities were not counted in this study. The full report and a detailed analysis will be released on April 25, at the World Jewish Congress’ Plenary Assembly.